Rarely does grass look just as good messy as it does manicured. A field of BioMeadow could be easily mistaken for one of Scotland’s finest pastures – whether you trim it to precision or let it blossom with abandon, creating a beautiful backdrop for wildflowers. BioMeadow’s special mix of seed varieties was formulated for rich, green color, even in the high temperatures and dry climate of the Mountain West desert. 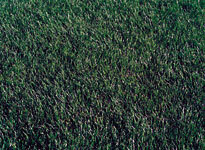 The slender blade and thick cuticle of the fine-fescue blend give it a delicate, wispy appearance. These features also help BioMeadow use less water, retain its color in low-water situations and stay hardy in both sunny and shady spots. Every grass has a story. A “mix” is a combination of seeds from different plant species. And no one mixes a meadow quite like BioGrass’s turf scientists. 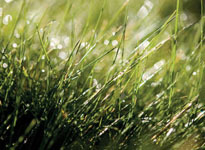 We experiment with endless formulations to get the ideal grasses in the right ratios. We dial in vibrant color that lasts from earlyspring to late fall. We ensure self-repair beyond compare. Then we esablish the ever-important drought tolerance, low fertilizer and water needs. In this case, the results are a lush meadow perfect for picnics, naps, freeze tag or daydreaming from a nearby window. BioMeadow can grow from 9 to 12 inches tall. It has a dense root system that helps control erosion. And like the Mountain West’s resilient people, it can flourish at high elevationsor on a valley floor. We raise BioMeadow® to maturity and mow it down to 3 inches before meticulously machine-harvesting it in slabs and rolls approximately 5/8 of an inch thick. 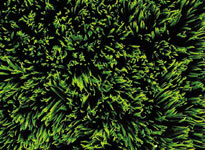 We inspect every bit of our sod before bringing it your way, at which point it should be installed immediately. Once it’s installed? Mow your BioMeadow® regulaly to a minimum 3 inches tall. 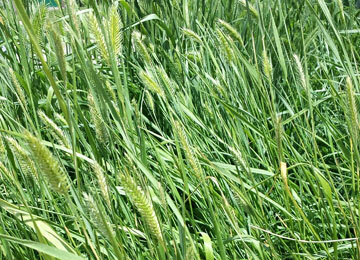 Or let it go wild and mow it a couple of times a year – once in fall and once in spring. 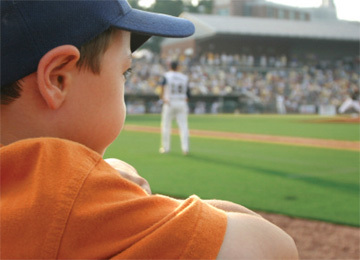 Either way, BioMeadow® needs regular water and fertilizer to thrive. And kind of like kids, the more you feed it, the taller and sturdier it will grow. 0 - 299 - sq. ft. $ 0.70 - sq. ft.
300 - 1499 - sq. ft. $ 0.60 - sq. ft.
1500 - 4999 - sq. ft. $ 0.55 - sq. ft.
5000 - 6999 - sq. ft. $ 0.54 - sq. ft.
7000 - 8999 - sq. ft. $ 0.53 - sq. ft.
9000 - 10999 - sq. ft. $ 0.52 - sq. ft.
11000 - 99999 - sq. ft. $ 0.51 - sq. ft.